George Nelson was the man perhaps most embedded in the history of mid-century design. As both writer, architect and designer he understood intimately the vital importance of a home’s composition and the interplay between the structure and its interior elements. Born in 1908, he got is first big break when he was named editor of Architecutral Forum magazine. This followed a stint in Europe as an architectural student where he had the temerity to seek out some of the leading lights of modernist design there. Taking this knowledge to the magazine, he was instrumental in introducing America to the f some of the key modernist proponents. Through his work at Architectural Forum, Nelson’s ideas soon gained the attention of D. J. De Pree the founder of the Herman Miller furniture company (especially an article of Nelson’s on the Storagewall, a modular storage system that was the forerunner of systems furniture). De Pree convinced Nelson to be his Director of Design, which in turn prompted Nelson to found his own design firm, George Nelson & Associates. Together they made some of the true furniture icons, of not just the mid-century style but design overall. 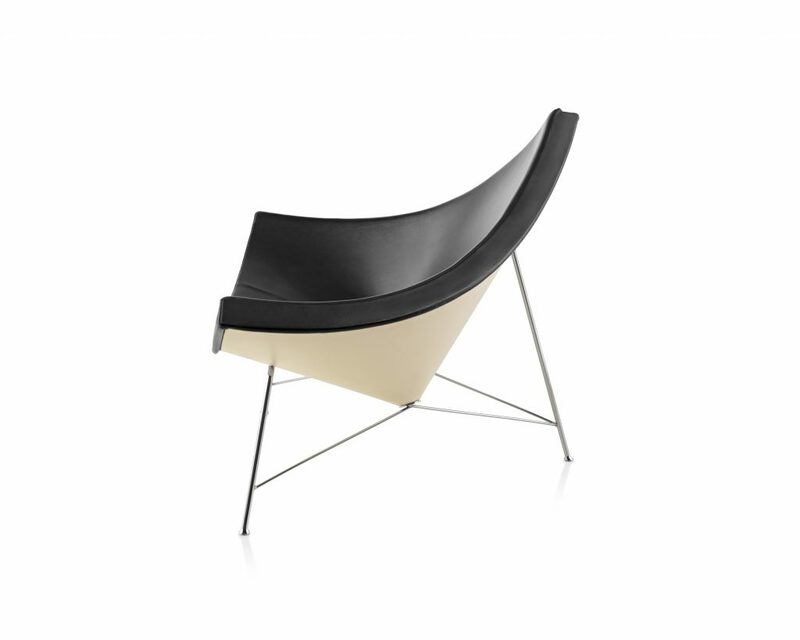 George Nelson’s Coconut Chair was named as such because of its resemblance to a coconut segment. 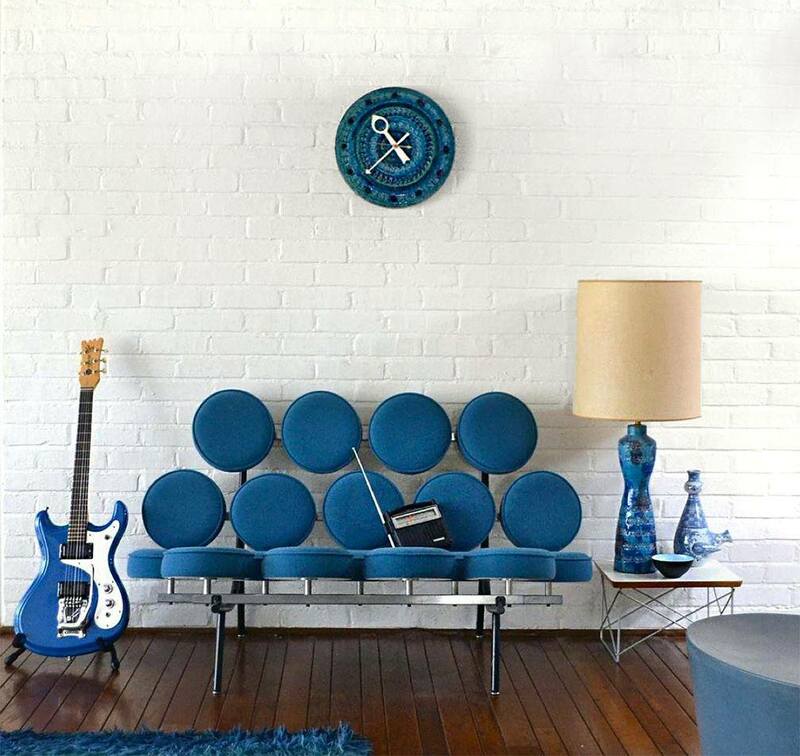 It was designed in 1955, at the height of its designer’s creative collaboration with the Herman Miller furniture company (where he also produced other playful icons such as the L-shaped desk and the Marshmallow sofa). Perhaps the most pleasing aspect of the chair is the militantly spare use of materials and minimal design: just a bent steel base propping up foam rubber and simple upholstery (at its best with the high-quality black leather). Yet this simplicity is not at the expense of comfort. Indeed, the curious design also affords a remarkable freedom of movement and flexibility. Like the Coconut Chair, George Nelson’s Cigar Lamp was called as such because of its resemblance to its namesake, this time a fat cigar. 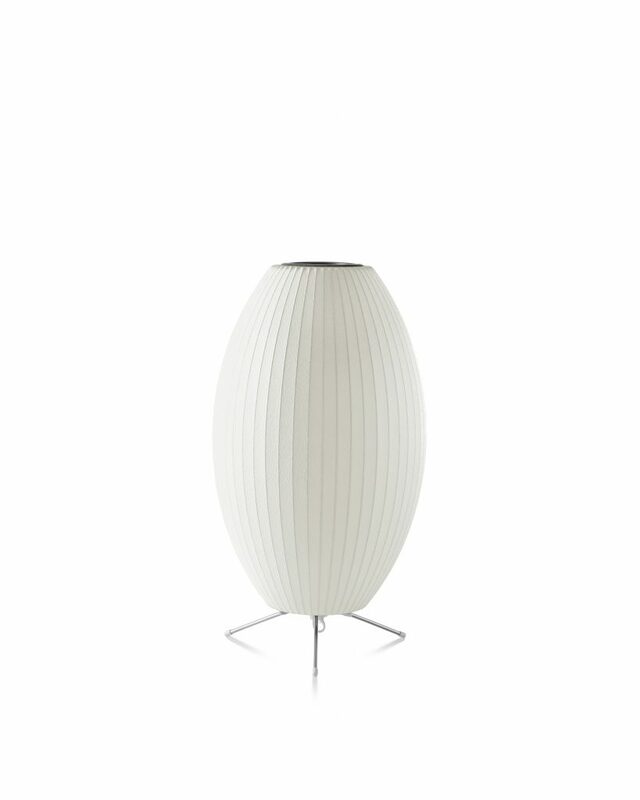 First designed in 1947, the bulging shape is accentuated by subtle parallel lines. The intricate spacing of these lines lends the structure a firmness not often evident in such light fixtures, while their subtle colouring diminishes what might otherwise seem like an overly harsh and utilitarian design (something further diminished by the playful name). The result is a rich diffused glow perfect for a bit of supplementary mood lighting. 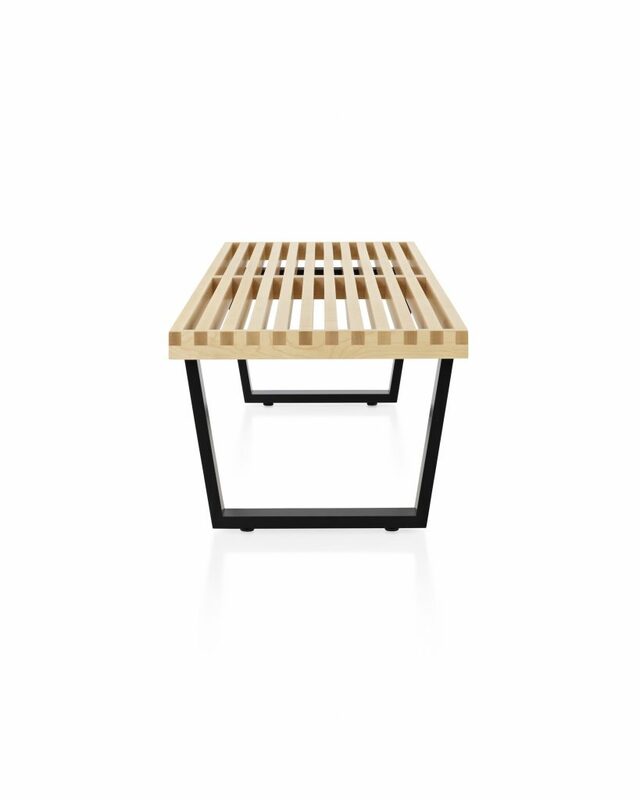 The Platform Bench is a gorgeously simply piece of design from the great architect and designer. With the potential to serve as both surface and seat, the flexible bench design featured in Nelson’s first Herman Miller Collection in 1946. The wooden slates are closely spaced, while still letting sufficient light and air through, casting a beautiful shadow on the nearby floor, with finger joints creating a strength that is apparent just from looking at it. This is the kind of furniture piece that really speaks to Nelson’s architectural background: emphatically celebrating functionality and firm structure.